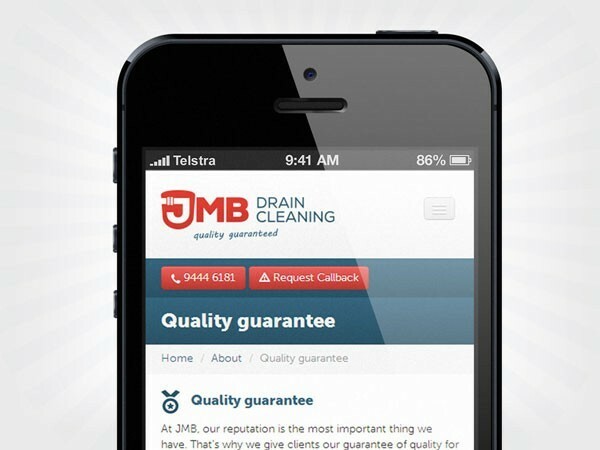 JMB Drain Cleaning based in Greensborough, VIC have been unblocking Melbourne drains for over 25 years. They’re a family owned and operated business, specialising in sewer and stormwater blockages, and dig outs and repairs to sewer and stormwater drains. 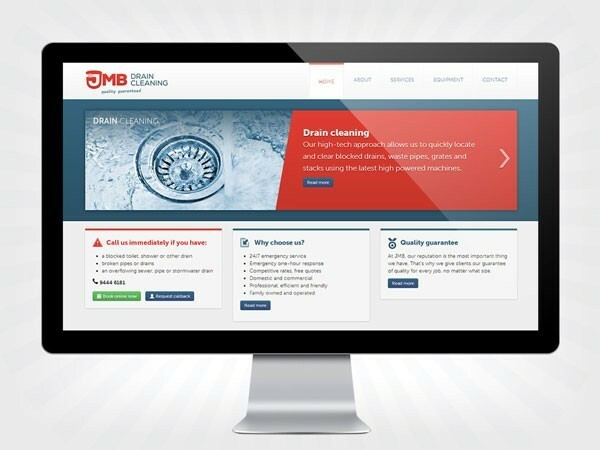 JMB Drain Cleaning approached me because they were having difficulties with their current website, and felt it was a good idea to get everything done all at once: the branding, website, printed collateral, and organic SEO. 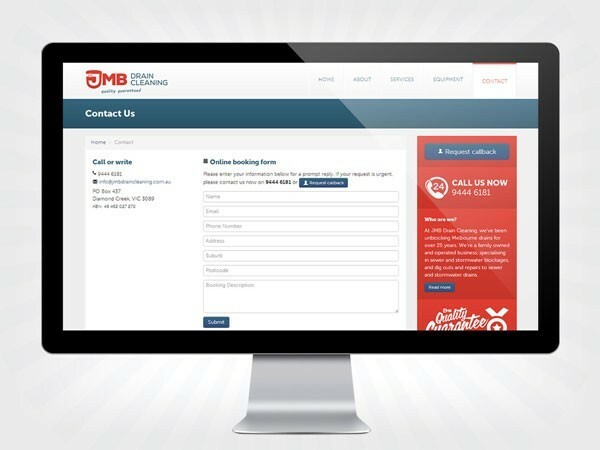 After meeting with John from JMB I understood just how strong their ethics about providing a reasonably priced and honest service were. The logo was designed to be a simple reference to a pipe/drain with an optional ‘quality guarantee’ tagline that could be used sparingly and tastefully. 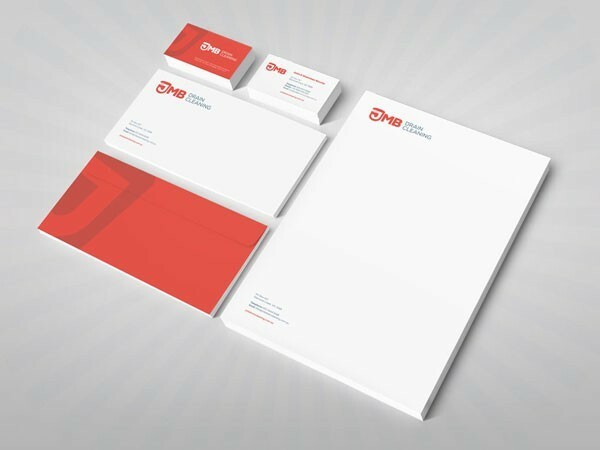 The typface and colours chosen convey a strong, professional look and feel which is incredibly consistent with their values. "Thanks Brett for all your outstanding work. It was an absolute pleasure to do business with you. If you are looking for a new website or a more professional look for your company, then call Brett. And please be "AWARE OF THE SHARKS ", the industry is full of them. Go with somebody you can trust." 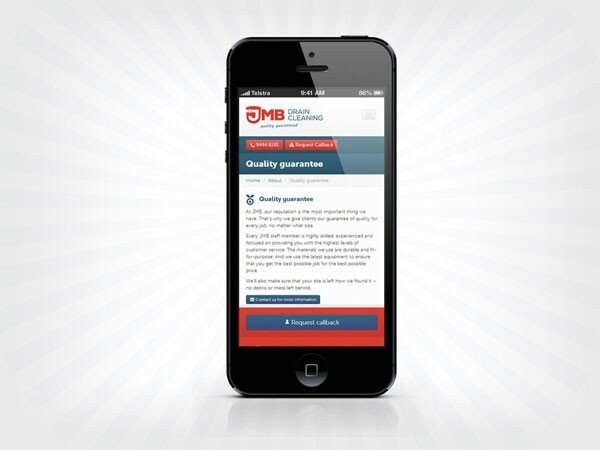 A mobile friendly website was built on an ExpressionEngine CMS for user friendly updating without compromising on site speed, functionality, or search engine optimisation. The website was created to be responsive, meaning the same content is repeated on any device, but in different and more friendly ways depending on the device being used. As with all websites, this has been optimised for apple devices to include an app button which is added to the home screen via safari to create the effect of a highly functioning, affordable and easily updated web app.